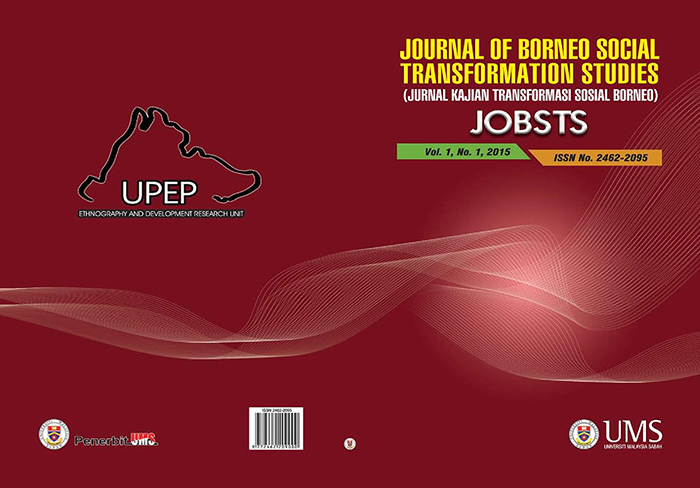 The Journal of Borneo Social Transformation Studies (JOBSTS) is an annual, peer reviewed, and multidisciplinary research journal of social sciences and humanities. This journal is jointly published by the Ethnography and Development Research Unit (UPEP) and Universiti Malaysia Sabah Press. The journal seeks to provide an international platform for educators, researchers, and postgraduate students to disseminate research findings, facilitate discussions, search for new ideas and techniques, and highlight knowledge in the fields of social sciences and humanities. Papers dealing with theoretical, conceptual and empirical aspects of the subject matter will be considered for publication. Articles published in JOBSTS are based on original work, and presents significant contribution to knowledge and practice in social science, humanities, development studies, international and border studies, the political and public policy studies.